As promised, I've added another MYP resource to my TPT store. This time it's materials for an ATL (approaches to learning) display. 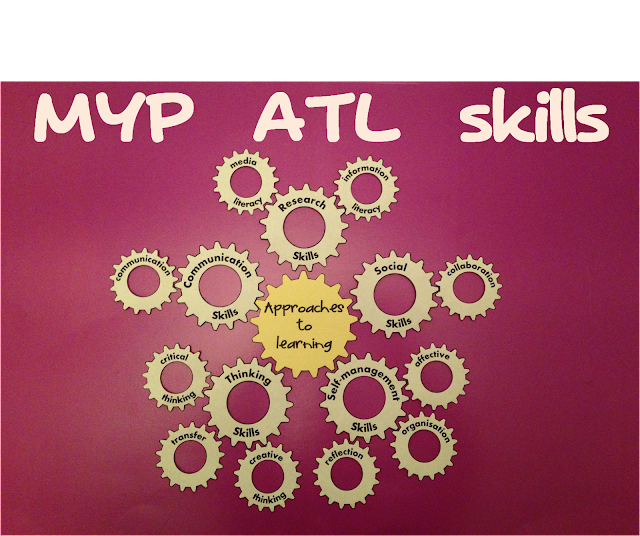 It contains the 5 ATL skills categories and the 10 MYP ATL skills clusters on cogs. As you can see in the photo, I've printed the heading on yellow paper and the rest of the cogs on white paper. You could also print them on coloured paper for a brighter display. The file contains both the British English and American English spelling of organization/organisation. If you'd like this resource, click here to view it in my TPT store. It costs just $1. Keep an eye on this blog for more MYP resources!